has led to another run. Eric Donovan was one of the first employees hired on to help out with the brand new company with The World's Strongest Coffee. 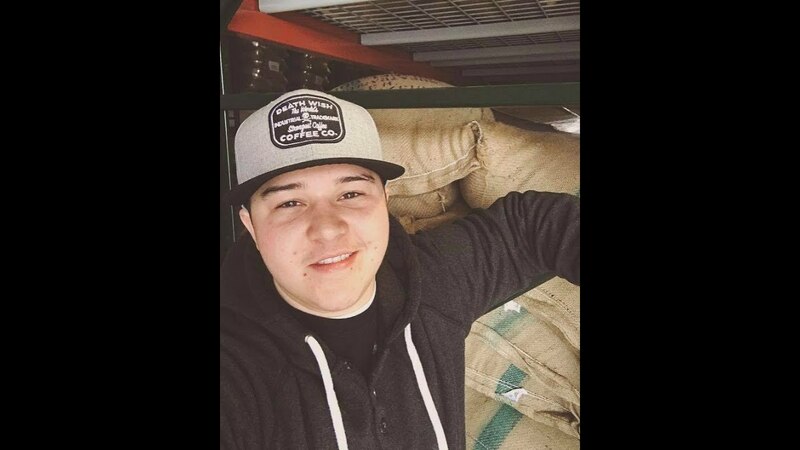 It is only fitting he is our first employee guest on the podcast and he joins the show to talk about what it was like working in the basement of Saratoga Coffee Traders at the beginning, how his role has grown in the company, and his incredible outlook on life and advice for those who might be at a low point in their life. ﻿﻿Jeff: Is that true? Am I saying that right? Are you the first one that Mike took on when he created Death Wish? Eric Donovan: Yeah. I mean, there were ... we also worked with Megan and [inaudible 00:00:10] who had worked at the coffee shop and he had brought them down as well. Eric Donovan: But yeah, I think I was the first person to actually sign on as an employee for Death Wish coffee. Jeff: And like Dman just said, that was basically working out of the basement of Saratoga Coffee Traders. Eric Donovan: Not basically. It was exactly working in the basement of Coffee Traders. Jeff: I remember, now full disclosure for all you listeners out there, Dustin, myself, and Eric have been friends for many, many years and we've been in bands together and I remember we were in a band at that point and you would tell us that you had spent all day in a dark basement stuffing envelopes basically. Eric Donovan: Yeah, like 20 hours a day, 21 hours a day. For a while there. Eric Donovan: But I mean when it first started it wasn't like that at all. You know I came on during the holiday season to give a little extra help, and just to help out. Jeff: Now would this be 2012? 2011? Eric Donovan: Must have been 2012, 2013, 2012. And, I mean, we were ... it was a lot of work because everything we did was really stupid, the way we did it. Jeff: Well you didn't know what you were doing. Jeff: You were learning as you went basically. Eric Donovan: We were cutting stickers with scissors and putting them on bags. Eric Donovan: Everything was super manual. We could only print out one order at a time to try to fulfill it. Jeff: Wow. And you were roasting the coffee right at Saratoga Coffee Traders as well? Is that how that was happening or ... you had a third party doing it. Eric Donovan: Yup. A little bit of both on those. Eric Donovan: Yeah. Yeah. We had worked with a company up in Boston for a little while and they were supplying some coffee, then we got into it as well and started doing it that way. Jeff: Crazy. So starting out at that point, when did you start to see the company start to gain legs? I'm not talking about Superbowl Commercial but when did you start to see Death Wish start to kind of become something more than just a basement company cutting stickers? Dustin: Where was the tipping point? Eric Donovan: Well the tipping point was very much the Good Morning America story that happened for us that March, the March of 2013. Jeff: Now how did that even come across? Eric Donovan: Mike's business plan very early on was kind of aggressively to get this brand out in front of as many blog writers and newspapers as he could. The BBC picked it up and did a story on him and the next morning he got a call from Good Morning America saying they were on their way out to come to the coffee shop and talk to us. Jeff: So there was no scheduling, no nothing, it was literally day of hey we're coming to you? Eric Donovan: We'll be there in four hours. Eric Donovan: Yeah, at that point I was only helping out. I was only working two days a week at that point, just to give Mike a little bit of a hand. I had always been a patron of the coffee shop, so I got along with him really well. Then, from there, it was like hey we have a lot of orders to do and seriously ... and from there it was like all right let's see if we can find a space. Jeff: I know this is common knowledge for people who follow the company. Good Morning America was actually the first hurdle for the company too because it put you into a limelight you weren't ready for as a company at all. Eric Donovan: Yeah, not at all. Jeff: But I mean like that meant you had to learn on your feet pretty much, right? You had to like get a new space. You had to get more equipment. Dustin: I feel like that's been the constant battle of this company. We're always learning. We're always finding more space. We're always taking on new projects that none of us really know nothing about, we only have the authenticity to push for the company, you know, it's always like ... what's next? How are we going to do this? 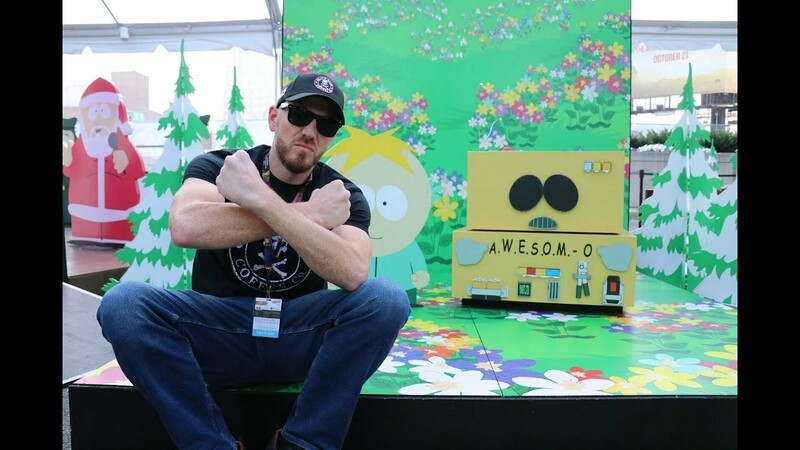 Eric Donovan: Yeah, I mean it's been so rapidly growing that there is the constant adjustment to make an awesome product, get it to the right people, get the name out there as much as possible and kind of keep consistent with the branding. At that point, I mean it was even just like on a very basic fulfillment side of things, like how do we make this work? I mean we were literally carrying multiple gigantic sacks, like Santa Clause of envelopes of coffee up the stairs into the coffee shop, down the road to the post office and standing in line for 45 minutes to try to give them, three people standing in line with like two giant sacks each trying to get coffee out. Jeff: I hate to be the guy behind you. Dustin: Yeah, they must have been annoyed. Eric Donovan: People hated us. Oh my god. They hated us. But it was ... I mean I remember the day I talked Mike into getting software that would allow us to print out more than one order at a time. Hey, you have lots of orders. We can't do this one at a time. We're matching packing slips up with shipping labels and we'd have to go through and do them alphabetically. Eric Donovan: From that point, obviously you knew things had to change. Obviously, we had to get a little bit more serious about the way we, not that we weren't serious to begin with but more professional about how we'd go about it. Then you find a space. It's like things that are so obvious to use now were like groundbreaking ideas on how we would go about even just getting our coffee out daily. Jeff: So, now that we have a little bit of an idea of what you started doing in the basement with the company, what are you doing now? What's your job now? Dustin: And safety stuff too. Eric Donovan: A lot of safety stuff and a lot of retail operations, so getting out into Price Chopper and Hannaford and Safeway and working on Wegman's and Target and all these different things. I've been kind of almost sales repping us, in a lot of ways, to get us out into as many grocery locations as possible so that our brand continues to grow both online and on physical shelves. Jeff: Can you speak a little bit on that? Because I know for so long the company that has been a force on the internet and basically an internet-based company but now Death Wish has been branching out and I know locally we have a supermarket called Price Chopper that Death Wish I believe is now in all of the stores. But you guys are working on other deals for other different supermarket chains. Can you talk about any of those that are coming up? Eric Donovan: Yeah, it's a lot of the ones I was just talking about. We just went into the local distribution with Hannaford which is another local store, we're working on a couple Northern California stores. Eric Donovan: And that will be great. We're trying to be ... we're trying to find the right grocery partners. We don't just want to throw it out there just anywhere. We want to make sure that we're a good fit with the store and with the clientele of that store and it's also a little bit tricky to convey your brand in that retail setting for us. We've been lucky because we have fans and customers all over the country now who want to buy our coffee and recognize our brand. But, there are still a lot of people out there who will be seeing it for the first time, and we want to make sure we're able to really impress them, really give them exactly what they want and have them keep coming back and understand we want to have just as good customer service, just as good of a product, just as quick of a turnover so it's always fresh coffee and these avenues as well. There are some hurdles to jump doing that kind of stuff, but it's been a fun challenge for sure. Jeff: Do you ever look back at like the early days and like think back to those days and then they seemed so far away. Like has the meteoric rise, wow I can't even say that word. Jeff: There we go. Rise of this company, has that kind of just happened so quickly that you don't even notice it? Was there ever a moment where you were like oh my god, I'm working for Death Wish Coffee now. This is the legit thing. Was there ever that moment or has it just been this gradual kind of push? Eric Donovan: No, I feel like I kind of reflect on that quite regularly because I was there so early on doing these kinds of weird inane projects just to make things work and I was like, I remember when it hit us that we'll put coffee in the box and then we'll write on the box what the coffee is. We'll know how to send it out. I mean I came from a place where that was a really good new idea. Jeff: That was the epiphany of the day. Eric Donovan: We used to take our orders out and highlight them every day. Okay, this has got one pound of ground and it also has a hat. You gotta make sure not to forget the hat. You know? So it's like, I mean, and then to see it you know come from this very, very hands-on institution where it was like, I mean I remember our first 1500 square foot warehouse was the first warehouse we took down in Round Lake. I mean we all got there and we looked at it and we were like, are we in over our heads? Is this too much space? Jeff: And that was only a few years ago. Eric Donovan: Yeah less than three years. Eric Donovan: I mean from that to the point where it's like we have four of those little lots and those wouldn't even begin to cover what we need. Eric Donovan: Then we have this cool new facility that we're still slowly moving into it. Eric Donovan: It's very easy to take a step back and be like, I cannot believe how far we've come. Eric Donovan: Then again, it's like you can't believe it because it's been so rapid but the product is there. The customer service is there. The passion of the people in this company is there. The vision from Mike is there. So it's like shocking but not surprising at all. I guess. Jeff: And that's a great answer to that. Dustin: So I want to move away from talking about the company a little bit. Dustin: Because Eric and I have been here working hour after hour for the company. I want to talk about something with you Eric specifically, I was thinking about it today when we were talking about getting this interview in. You've been pretty much like this weird pivot point in my life. Twice I can think of specifically when you've been like the immediate spark to the next huge step of my life and those two instances are both times that I felt, you know those like lost moments in your life when you're like I don't know what I'm going to do next. I know what I want to do but I don't have an outlet. The first time I was kind of ... I was just getting done with a band I was playing with at the time, Standard Eight Count. I knew I didn't want to do that anymore, but I knew I wanted to play like cool original music and that day Eric came along and I knew Eric a little bit at that point, but it was like hey we need a bassist. Dustin: And that's how I met eventually you Jeff and we played in a band together for seven years? Eric Donovan: Seven years. Yeah. Eric Donovan: It's a long time. Dustin: Seven years which is crazy. So there was that moment, that you're directly responsible for. Then another time when I came back from Colorado and once again, I just ... I don't know what I'm going to do. I didn't have a job. I was jobless. Eric Donovan: You didn't have a plan. Dustin: Not really a plan. Just knew I needed to be back home. I went out to lunch that day with Eric, almost like the same instance where it was like hey we need a little help at the warehouse and I'm like well you know, I worked with you guys a little bit before, putting stickers on K cups. Eric Donovan: One of the many steps. Dustin: That led to me working this job and then moving up from packing K cups to working directly with Eric. And I feel like you're that spark for a lot of people. You know a lot of people. Like a lot of people and I think that may be why you're like this catalyst of connections. Jeff: I totally can see that. Eric Donovan: Existentially, I guess or cosmically, I don't know how to put that, but I have always in my own kind of philosophy is you can be patient and when you see the right opportunity you pounce. And, I feel like that is not just for me to convey for myself but to help to convey the best I can for other people. I think because I believe that, I think those opportunities present themselves. I mean it's not just ... I mean it's been awesome, those particular instances and yeah I think that's kind of the case and I try to be mindful of the right time, the right place, the right person. Those things kind of all into place seamlessly after that. Jeff: Those are excellent words to live by. I mean, you're always aware of what's happening around you and looking for those opportunities, so if they do even just peak their head out, you're not missing it, you know? Even if it's for someone else or something like that. Dustin: How do you prepare yourself for those opportunities? Eric Donovan: That's a good question. I think you just have to be really self-aware and I don't think ... I think you prepare yourself every day with the way that you act. I think that if you wake up every morning and you do the right thing and you work hard and you accept outcomes. You accept responsibility and accountability for the things you do right and the things you do wrong and you make those changes, then I think you kind of carve away a little bit every day at the things that make you, that hold you back, and I think when those, if you practice that regularly when those opportunities are there, I think then you kind of are already molding yourself to be ready for them. You know? You probably say the same thing with jujitsu, it's probably the exact same thing. Every time you learn something new in jujitsu, every time you kind of go outside of your boundaries and push a little bit harder, you find something out new about yourself. And then when those opportunities arise, or whatever it may be, you are that much more capable and ready to take it. And I'm kind of a confident idiot in a lot of ways, you know? Eric Donovan: I mean it's like yeah I don't know how to do that. I will figure it out. I don't have to be an expert to be brave enough to just do it and figure it out along the way. Jeff: How much do you focus and pushing yourself and that discomfort? Pushing yourself outside of your comfort level, how much do you focus on that? I know sometimes when let's say back in the day, rock climbing, I was like I'll try rock climbing and it was really hard and all I wanted to do was rock climb for the next two years because it was hard. I felt absolutely useless trying it. But like to relay that to you, how much do you seize an opportunity to push yourself outside the comfort level? Eric Donovan: Not as much as I used to but that's not necessarily a good thing. I mean I think how much do I do it? If it's something that you want to learn and you're passionate about it, then just delve in as much as you can. I don't know ... I mean some people know and some people don't but I kind of have what some would call an addictive personality by nature. So it's like, I used to put those into certain vices and now it will be ... you know it's the same thing with drumming. It's the same thing reading. Jeff: Yeah I mean it can turn into addiction but that's only because you found something that, I don't know, to dig into whether it be good or bad. But like that's there. That drive is really there, but it's weird, you just never see it on the outside. Like do you hold that back? Do you not try to scare people with this seething motivation under your skin? Jeff: So what do you think, for someone and I've known you even before working for Death Wish Coffee. You've had many jobs and many different avenues and you went to school even for something completely different, history. Eric Donovan: Social studies. Elementary education. Jeff: Yeah, exactly. But, what kind of tying it into the overall theme, what actually fuels you to make these choices in your life? To be motivated? To wake up in the morning and to motivate yourself to either go outside of your comfort zone or to find that next avenue or that next thing, that next opportunity that might present itself. What do you see that actually fuels you to make those choices? Eric Donovan: I think when you boil it down, kind of bare bones, it's experience. Like I love to experience life and I think working with this, what was a startup and what is probably still considered a startup to some, but to help kind of cultivate a culture business wise here, it's just been a crazy experience. It's something that I don't think a lot of people get to, even people who have come on lately it's like they are still in this weird growing company, but it's like, it's different to see it grow from like this dumb little baby in a basement. So that's an incredible experience. The music we played, I mean, I've been able to travel. Blessed enough to travel all over the country. Play great shows. Terrible shows with great friends. Bad sound systems and broken down vans but it was all beautiful. It's all stuff I will remember forever. I mean, and now that I've even settled ... I mean even with the honeymoon that my wife and I took, you know a lot of people, there's a lot of cool honeymoons you can go on. We went to Australia and we backpacked around and got in an RV and we just drove across Australia as much as possible. Dustin: No, we love your little daughter. Eric Donovan: What motivates me now is I'm going to do it all over again with her. Jeff: Yeah, totally. You've got a whole new set of life experiences now that you've got a kid. Eric Donovan: Yeah, I mean some of it is going to be you're late for school and some of it is going to be, we're going to Australia. You know? It's going to be everything in between. I'm stoked about it. Jeff: I hope that's the exact same moment that she's late for school and she's going to Australia because she's late for school. Dustin: That would be an experience. Eric Donovan: You're damn right. It's really kind of incredible. It's really neat. So I mean it's really easy for me to get up and you know motivated for work, motivated for health, motivated for just life in general. Dustin: I feel like, I mean how much of that is pertaining to like ... you inspire me personally because I know that you've been through a lot. A lot of not so great moments and you hit a low point and were able to pick yourself back up and how much of that makes it easier now to get motivated? Do you think you'd be that way if you didn't find a bottom? Eric Donovan: I mean I think I had to find my bottom. For me, like full disclosure I'm not even worried about it at all, I was a straight up dope fiend, heroin addict, junkie on the streets for many, many years and I've been sober for going on 13 now. Eric Donovan: But, if I and this is how I always explain it is if I hadn't got to that like low point in my life, I never would have been able to strip away the illusion of the things that don't matter to me in life and from there, I could kind of build a foundation of like the things that I cared about. And when you know the things that you care about, then you can focus on the things that you care about whether it's experience traveling, playing music, building a business. Jeff: The New York Giants. Eric Donovan: The New York Giants. The 8 and 4 New York Football Giants. And I mean when I got to that point, I don't really feel like I picked myself up. I feel like I allowed myself to be picked back up by a lot of other people. You know, and at that point, I shut up and listened to people who are a lot smarter than me, get me through some tough times. And then, and now it's like probably I'm not even as good at it as I wished I was, but now I try to give that back where I can. If somebody has got a problem, somebody is struggling with anything, whether it's drugs, alcohol, personal problems, whatever. It's like I like to be there for people and to allow them kind of the same opportunities that I had because it's not necessarily easy but it's totally worth it. Jeff: So for the people that are listening and you can't be there for, what piece of advice would you give them if they are finding their bottom? Eric Donovan: Give up trying to control so much about your life. Let some other people in a better position make some decisions for you for a little while, then build your foundation and then start on your own journey. You know. I guess that would be more specific to drugs and alcohol and stuff like that. Jeff: Losing your job, your home, your car, your kids, your wife. That kind of thing. Any of those can bring you to that dark place. Eric Donovan: Surround yourself with great people and listen to them and emulate the people who do the things that you want to do. Jeff: That's excellent. That's excellent. Dustin: I'm going to cry a little bit. Jeff: I'm pretty inspired by that and that's why we were so excited to have you on as the first employee guest because you are such an inspiration to many people and I've witnessed it first hand myself throughout my life. Jeff: Oh he hasn't gotten over it? You haven't. Oh, it's rearing its ugly head. Eric Donovan: I'm broke. I sleep in the warehouse and I eat parfaits. You see them scattered all over the place. Jeff: Oh man. That was a funny moment in your life. Eric Donovan: I actually literally make them almost every day from scratch at my house now. Jeff: Yes, please school us. Eric Donovan: You've got a big tub of yogurt, right? And you got a glass jar, a little bit of yogurt. You put some fruit in there, a little bit more yogurt, and then you put the granola on top. You let it sit overnight. The frozen fruit will thaw out and then in the morning, breakfast. Jeff: Breakfast. Incredible. You heard it here first. Dustin: So what's in the future for Mr. Eric Donovan besides a million parfaits? Eric Donovan: That's all I have time for. Jeff: Kid you better raise yourself. Eric Donovan: Yeah. I'm looking forward to ... I like ... I want to do two things right now. I want to settle down and be a family man and just enjoy being home. Eric Donovan: Well that's all lumped into one thing. It's like family man with that stuff. And then I want to travel. I want to see as much of the world as I can and I want to bring Violet and Gabby along to see as much of it as we get a chance to. Dustin: That's so cool. Is there a place that you haven't gone that you want to go really bad in particular? Eric Donovan: Even though it might be ... I mean we went to Australia. I really want to see New Zealand and I really want to see Brazil. Jeff: Those are the two places I really want to see too actually. Eric Donovan: I really want to go to Nova Scotia. I want to go to Canada. I want to go there soon. Jeff: Like upper Canada. Not Toronto, Montreal kind of. You want to go up. Eric Donovan: I want to go to Nova Scotia and I want to go whale watching. That's what I want to do next. Jeff: That's fun. I've been whale watching twice and it's really fun. Dustin: Good for you Jeff. Eric Donovan: Did you see any whale? Jeff: Yes, I did. The one time I did, the other time I didn't. Eric Donovan: Did watch it? Dustin: Did you get your money back? Jeff: No, we didn't get our money back. Eric Donovan: They were just like no whales. Eric Donovan: I think there's a lesson to be learned there. Jeff: It was all a hoax. Eric Donovan: You can't go whale watching in Lake Erie. It's not going to happen. Jeff: It's like I didn't know there were whales in Idaho. Yeah, get in the boat. Eric Donovan: It's a $600 tour. Dustin: Is there anything you want to plug before we wrap this sucker up? Eric Donovan: Nah. Not really. Just be good to each other. Dustin: Nice. Okay, quick question. Death Wish or Valhalla Java? Eric Donovan: Death Wish but I love Valhalla Java too. But Death Wish is what I drink every day. Jeff: Nice. Good question. Awesome. Well, thank you so much for being on the podcast this week, Eric. Eric Donovan: Thank you for having me. Dustin: I love you, buddy. That was great man. Eric Donovan: I love you too. Caiden Tuller is most likely the voice you hear if you call Death Wish Coffee Company customer service and he has an incredible outlook on life.